Keeping track of your meds can be hard at times, but now you have Medisafe to help! 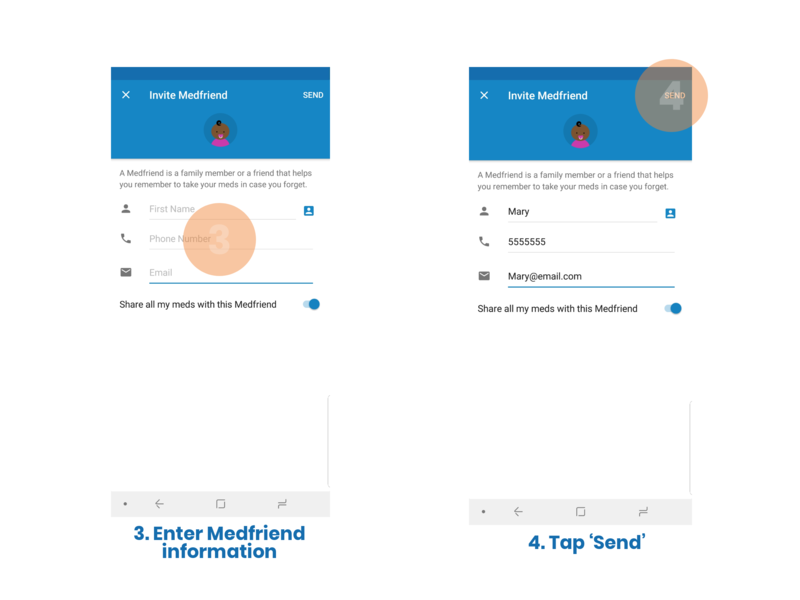 If you need some extra help staying on track, or need to give your loved ones peace of mind, you can add a Medfriend. 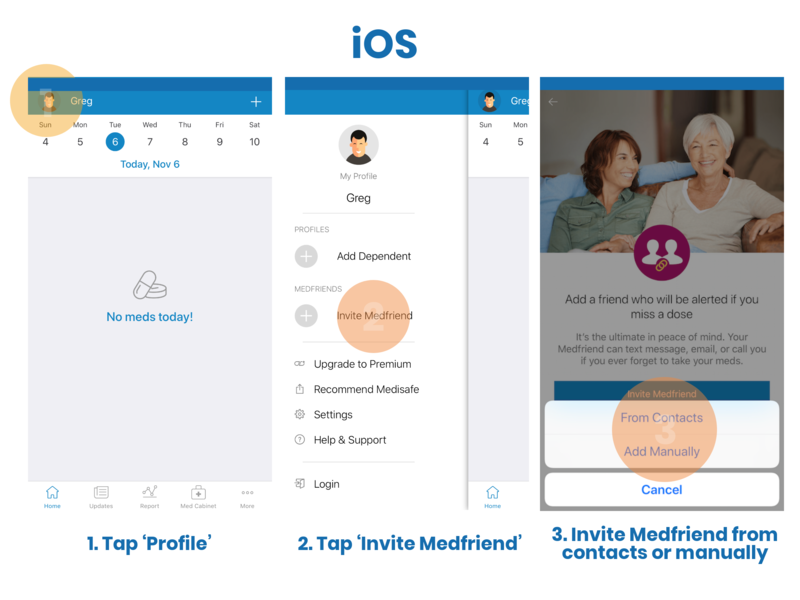 A Medfriend can be a family member, friend or caregiver that syncs your app to theirs. 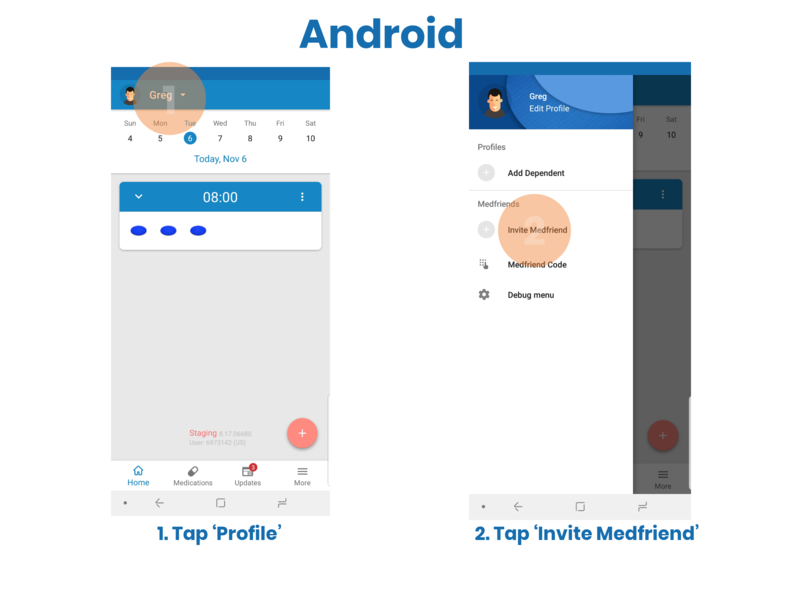 In case you forget to take your medications (after several alerts from Medisafe), we will send push notifications to your Medfriend, suggesting they remind you to take your meds. Do you have any questions? email us at support@medisafe.com to be able to assist you.